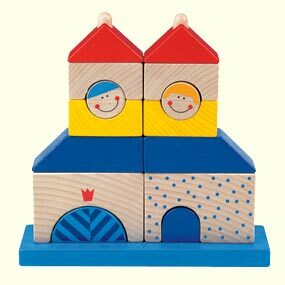 PADiLLY carries stone and wooden building block sets. Our Anchor Stone building block sets are synthetic stone building blocks made in Germany from quartz sand, linseed oil and chalk. These building blocks come in natural colors, so your child can build realistic structures. Our wooden building blocks are for younger children. They can be stacked on their wooden frame, or your child can build with them on the floor.